The increasing costs of electricity and fuel force people to look for alternative energy sources to power their homes. Homeowners are now turning to solar generators to get reliable emergency power. 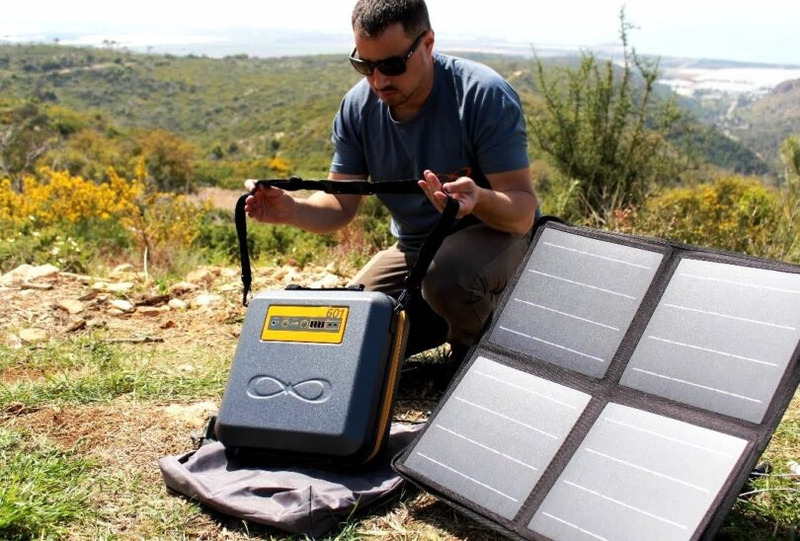 However, with a wide range of portable solar generators in the market today, making a choice can be quite challenging. Here are five factors that you should put into account when choosing the right solar generator. Inverters are devices that convert DC power from the solar panels to AC power that can be used by standard plug-in devices. The inverter rating usually restricts the actual wattage that you can use at a given time. For example, generators that have lower rating may not power appliances and devices that need higher wattage amounts. Make sure that you choose a solar generator with the right inverter rating because this is one component that is not upgradeable. Solar panels are usually rated by the watt-generation capabilities. For example, a 200-watt PV panel will generate 200 watts of energy in peak sun hours or full sun. Determine the seasonal and yearly average full sun hours in your locality for you to determine the right number of solar panels required for your portable generator. Battery capacity is one of the essential aspects that you should look at when buying a solar generator. Generators that have a higher battery capacity will work longer in between recharges. The battery capacity should be able to power up all your devices with ease. Even though the battery life will depend on the actual wattage that you are pulling from your household devices, a higher battery capacity will always be better. Mobility is an important factor when choosing a solar generator. With an easy-to-move generator, you will ease your burdens when travelling and outdoor explorations. It is best to go for generators that are designed in the style of a briefcase or suitcase as it makes movement much easier. The device should also have a collapsible and sturdy handle and wheels for dragging on rough terrains or airports. Most people may not foresee the amount of power that they will in their future endeavors. This is why you should choose a solar generator that has expandable solar panels and batteries. This is beneficial because you can add up to it output whenever you require more solar power. There are many solar generator models available in the market today with impressive expandability options. You can easily plug in extra panels and batteries thereby increasing storage and output capacities for more devices. When buying generators, you should opt for one that has additional features. Several solar generator models on the market have multiple outlets, such as AC, DC, 2A, and USB for smaller connections. This allows users to directly plug in several devices without the need for using prong converters or power strips. High-end solar generators may also have features like built-in lights, inbuilt alligator clips for vehicle batteries, alarms that go off when the battery is fully charged, low, or has a malfunction, and electronic screens for monitoring your battery usage. With all the aforementioned factors in mind, you will buy a portable solar generator that suits your needs.